100% polyester Tech fabric. Wicks perspiration away from skin. Please select option for Badger T-Shirt. Soft and comfortable t-shirt is 50% polyester / 38% cotton / 12% rayon. Imprinted large cardinal "R" on front pocket (frocket). Available in charcoal or gray. Please select option for Boxercraft "Frocket" T-Shirt. 55% cotton, 45% polyester. 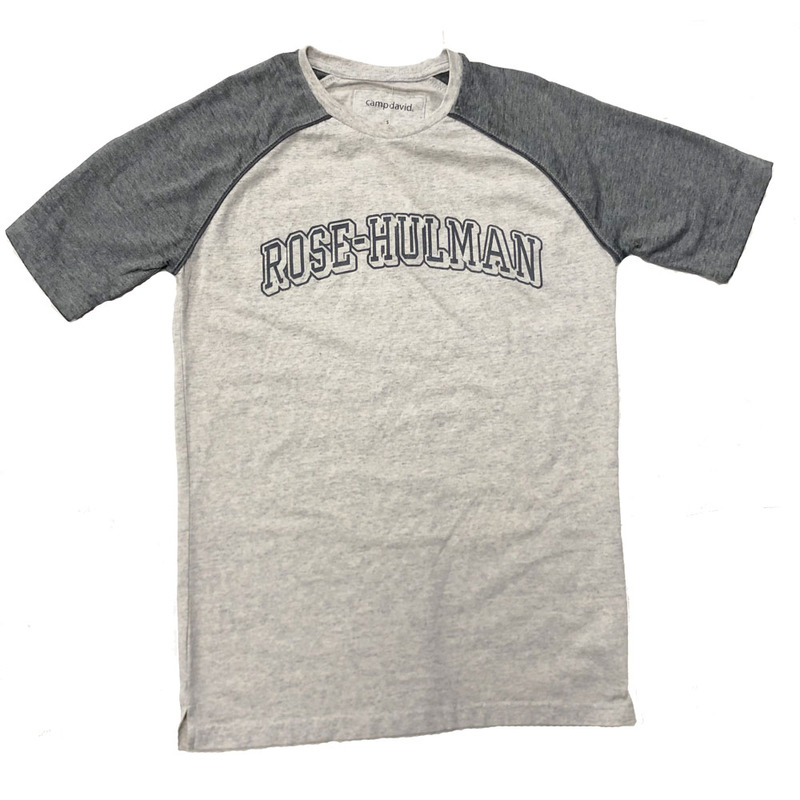 Imprinted "Rose-Hulman" in grey. Please select option for Camp David Baseball T-Shirt 2 Tone. Champion 3/4 sleeve baseball t-shirt. 60% cotton / 40% polyester. Comes in navy / gray or cream / gray. 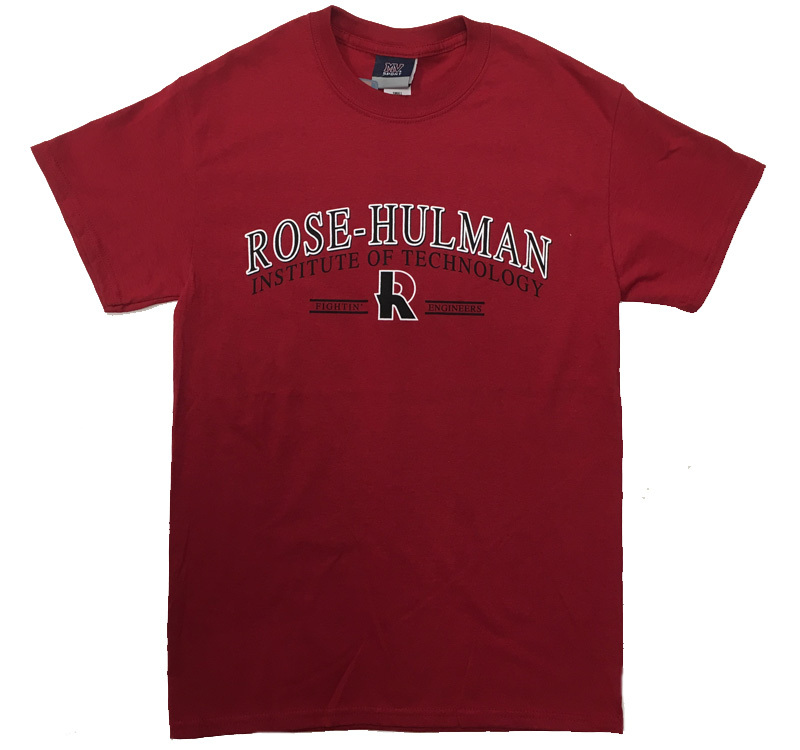 Arched "Rose-Hulman" over "18 -- R -- 74" over "Fightin' Engineers" screen printed on chest. Please select option for Champion Baseball T-Shirt. 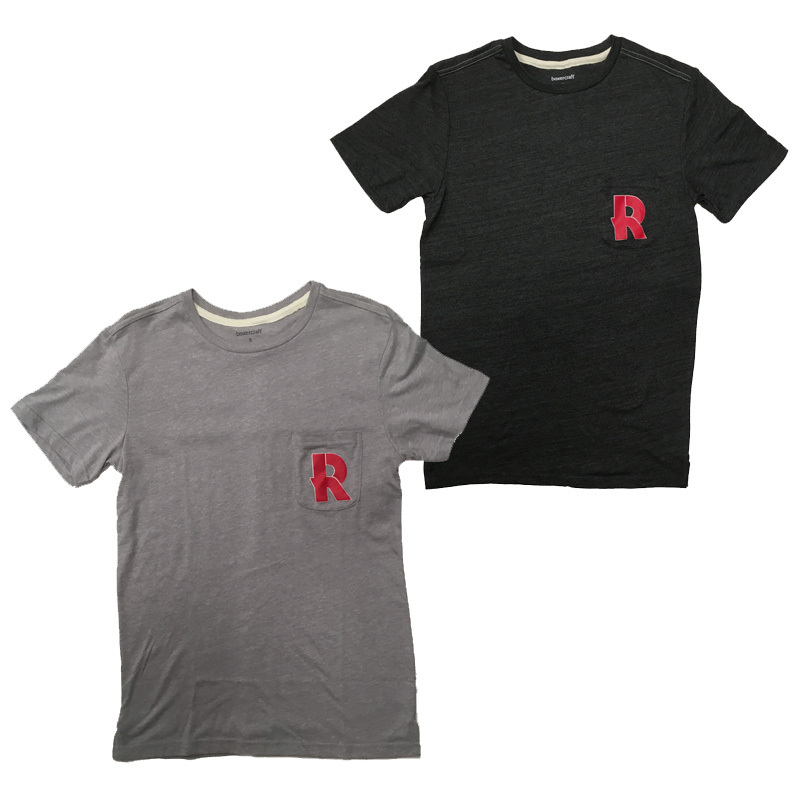 Gray 100% cotton jersey short sleeve t-shirt. 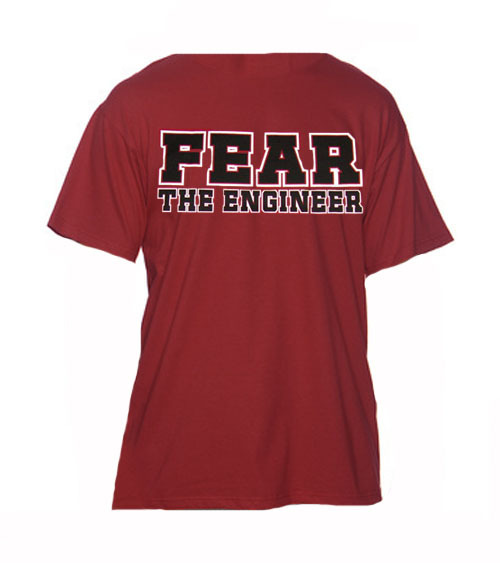 "Rose-Hulman" over "Engineers"
Please select option for Champion T-Shirt. CI Sport gray short-sleeve t-shirt. 90% cotton / 10% polyester. "Rose-Hulman" over "Fightin' Engineers" over Rosie the Elephant screen-printed over a white outline of the state of Indiana. Please select option for CI Sport T-Shirt. 100% cotton cardinal t-shirt with a silver circle design. 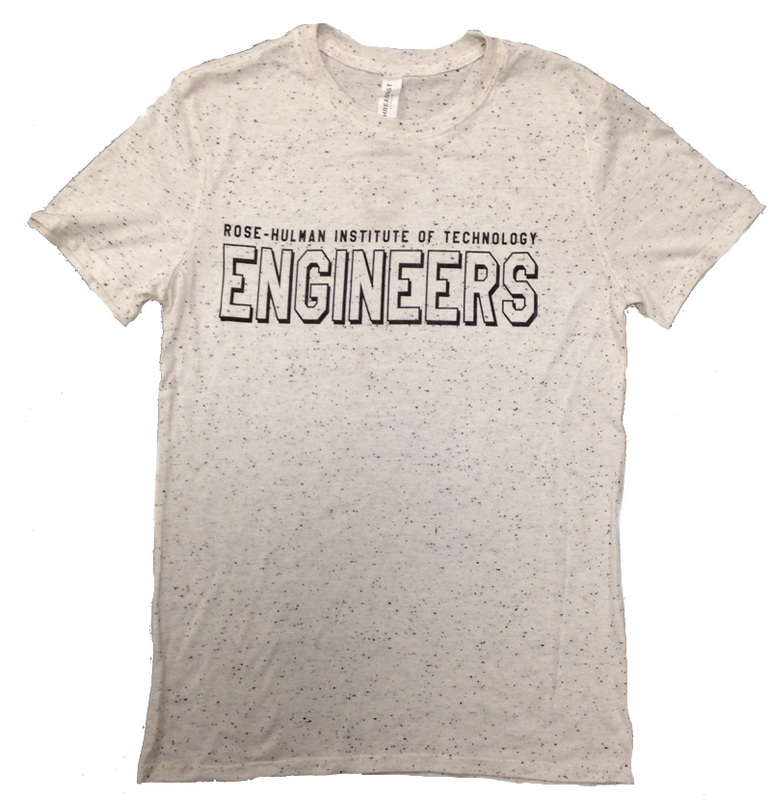 Imprinted "Rose-Hulman Institute of Technology" over "Engineers"
CI cream short sleeve triblend t-shirt. 50% polyester / 25% cotton / 25% rayon. Cream with black flecks throughout. 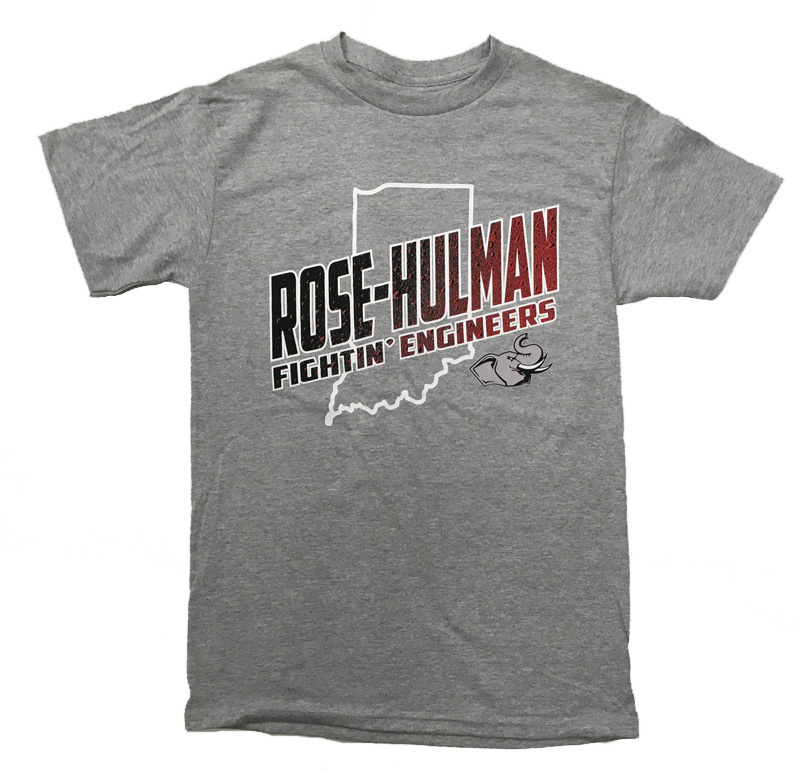 Imprinted "Rose-Hulman Institute of Technology" over "Engineers"
Please select option for CI Triblend T-Shirt. Gear T-Shirt "Friends Don't Let Friends Go To Purdue"
Please select option for Gear T-Shirt "Friends Don't Let Friends Go To Purdue". 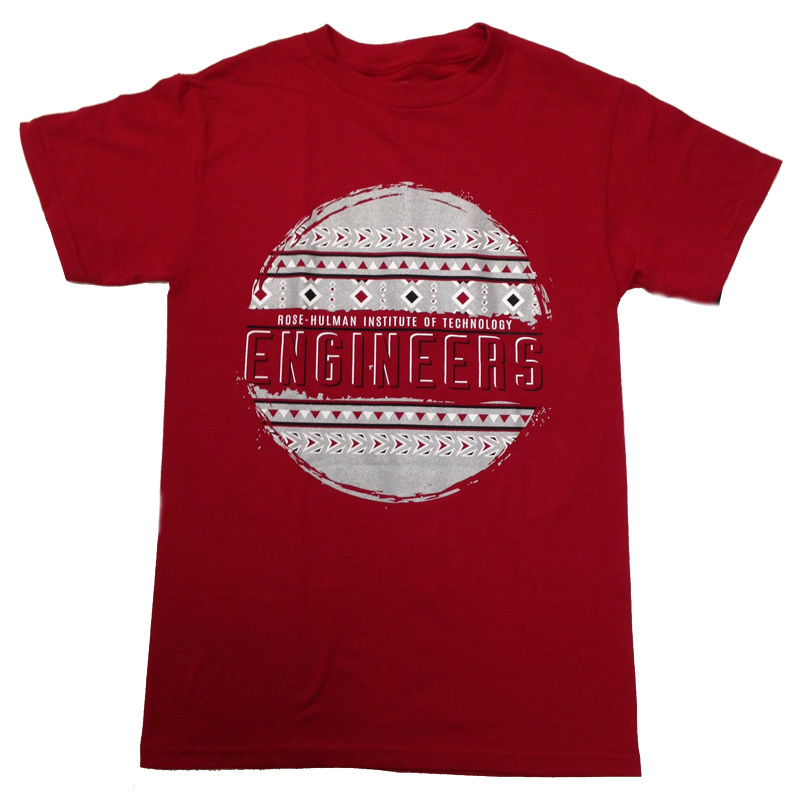 Please select option for J America Fear the Engineer T-Shirt. MV Sport baseball t-shirt. 50% cotton / 25% polyester / 25% rayon. 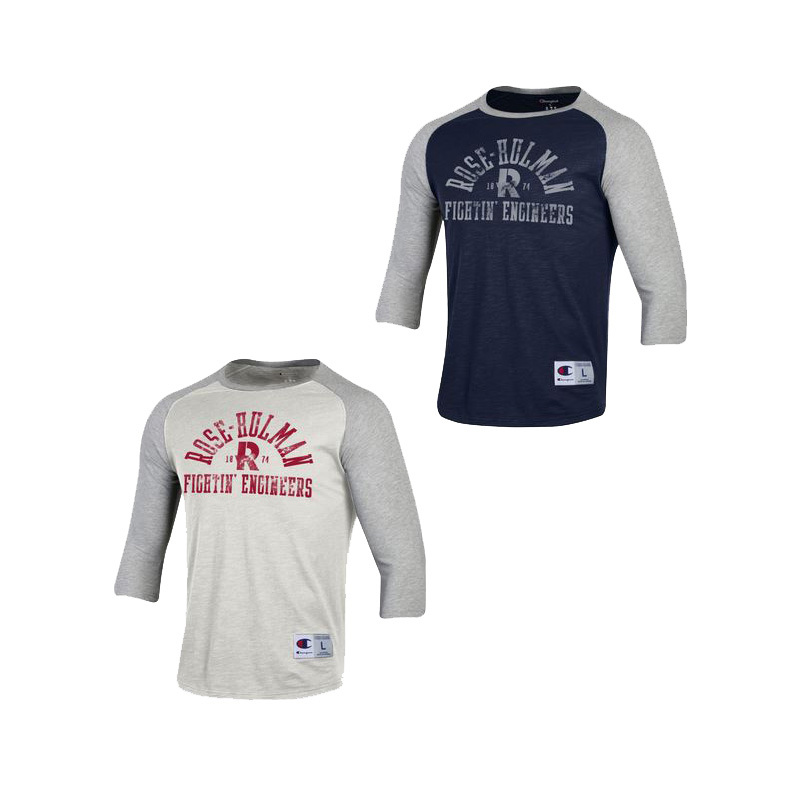 "Rose-Hulman" over Rosie the Elephant 1874 over "Engineers"
Please select option for MV Sport Basball T-Shirt. This 11oz. t-shirt is made from 100% preshrunk cotton. 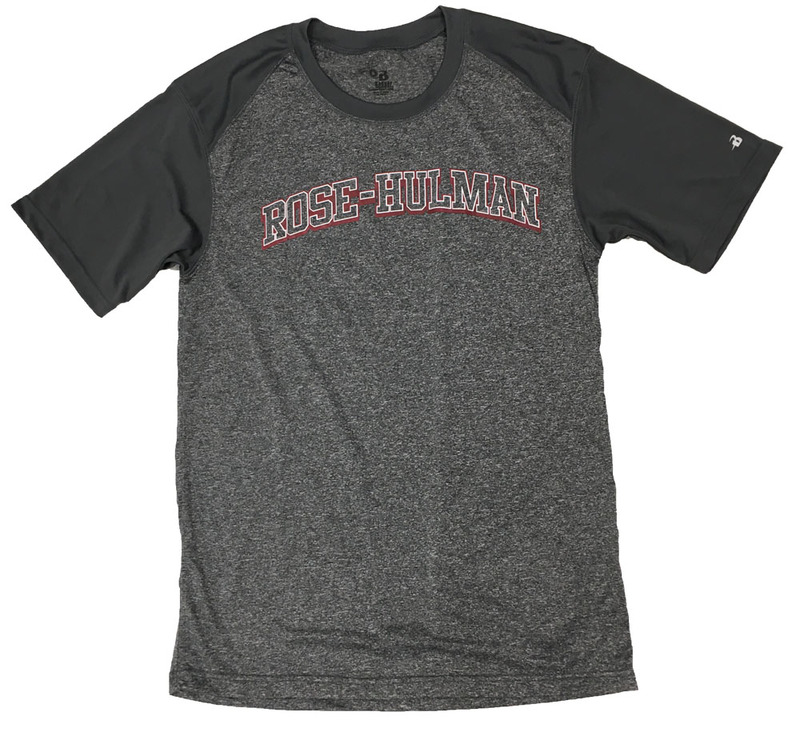 Imprint is "Rose-Hulman" over Institute of Technology" over "Fightin' -- R -- Engineers"
Please select option for MV Sport T-Shirt.